The Aboriginal creation myth takes place in a land called Il-ba-lint-ja which contained nothing ﻿but an endless poll that stretched from the heavens to the ground - at the bottom of the pole was a man named Ka-ro-ra. As he was ﻿sleeping﻿, he dreamt that bandicoots were coming out of his naval, mouth, armpits, and nose. The sun finally rose and Ka-ro-ra awoken. When he woke up, he was hungry and cooked two of the bandicoots. Once he was full, he realized that he was lonely. Ka-ro-ra went back to sleep and this time, he dreamt of a bull-roarer which came out of his armpit and turned into a young boy. Ka-ro-ra woke up and the father-son duo hunted for bandicoots together. As they slept during the night, the father dreamt of more and more sons. The cycle continued as Ka-ro-ra and his sons hunted for bandicoots together. Eventually, they had hunted and eaten all the bandicoots. One morning, they woke to find an animal - a kangaroo. That night, Ka-ro-ra's son's surrounded him as he fell asleep. The sons and kangaroo were swept away by honey over night and Ka-ro-ra was the only one remaining. 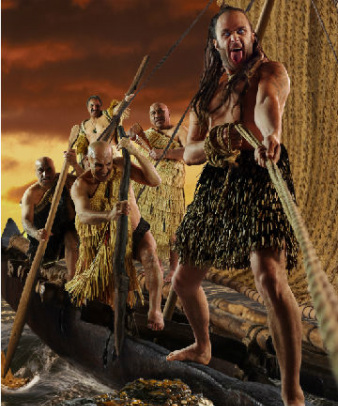 The creation myth story of the Maori is that at first, nothing existed and there was complete emptiness. Into that emptiness, two Gods appeared: Ranginui, the god of sky, and Papatuanuku, the god of earth. They bore six children, the gods of weather, crops, war, sea, forests, and plants. Ranginui and Papatuanuku were inseparable that their rebellious children made the effort to separate them from one another because they needed space to grow and more space for themselves. After they succeeded to separate their parents, the children grew angry and fought against each other. Tanematua, the god of forest, is who originated mankind using the red ochre to form the first human, a woman. Tanematua tested many other experiments that created trees.